This fun ‘do it yourself kit’ allows you to build your very own little robots. 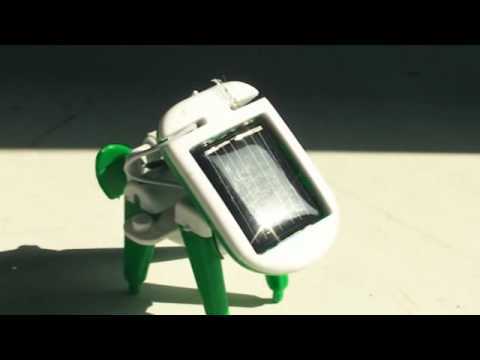 A great beginners' introduction to solar power technology, there are 6 different mini robots to build. You could have a robot dog one minute or a boat for your bath the next. Everything is in the kit to build up to six different models or whatever you can design yourself if you feel creative. All powered up by simply sitting on the window-sill, a fun and entertaining mini project. Move the castle walls to free the knights – 80 challenging quests! Click, create & play - flat pack soccer ball that fits in your pocket! Eleven year old boys are still boys rather than teenagers. A serious outdoor kite makes a great present for an 11 year old, but if they are getting seriously into style, a piece of room decoration might be welcome. Construction kits that involve the opportunity to build cool, outlandish models are popular at this age.